When the unexpected happens and an injury or illness hinders your ability to continue working, it may be that your disability insurance policy represents your best chance to remain financially stable. However, it is all too common for carriers of such policies to raise unfair roadblocks or issue unjust denials, preventing you from obtaining the benefits to which you are entitled. If you are among those who have received this type of treatment from an insurance company intent on shirking its duty to you as a policyholder, it is wise to enlist the aid of a long term disability lawyer with the knowledge and experience needed to successfully assert your rights. With a recent estimate suggesting that nearly 1 in 5 Americans has a disability of one form or another, greater attention than ever is being paid to the role of disability insurance. While many individuals who are covered by disability insurance have secured such coverage through programs sponsored by their employer, there are others who have chosen to purchase private insurance directly. Because the process of confronting such a carrier is certain to be a fact-intensive, detail-oriented endeavor, it is best to secure the aid of a private disability lawyer who is intimately familiar with the way insurance companies operate and the methods they employ to unfairly deprive claimants of the benefits they deserve. The Social Security Administration makes the process very difficult for claimants. As your attorney, it is our job to effectively communicate your claim in a light most favorable to help you to obtain benefits. We will counsel you through the process and give you advice about what is needed to prove your disability and help gather the appropriate medical evidence. We are professionals with a focus on disability claims. Every day you wait to file, is one more day until you begin receiving the money you deserve. You need an experienced staff of attorneys and paralegals to handle your claim with the commitment and caring that it deserves. We never ask for a fee unless you are successful in obtaining money. We do not ask for any up-front costs. 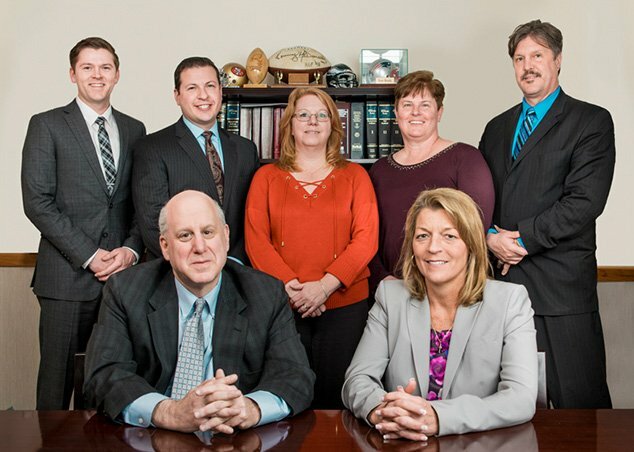 At the Delaware Valley Social Security Disability Center of Pennsylvania, you will find an experienced staff truly dedicated to your issues and your claim. We have handled thousands of claims, and we will give you the best chance of being successful!